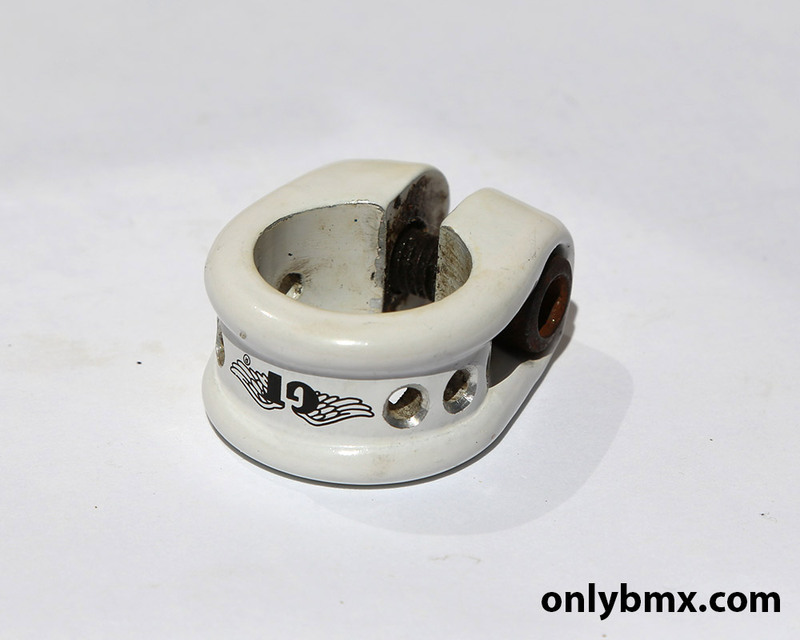 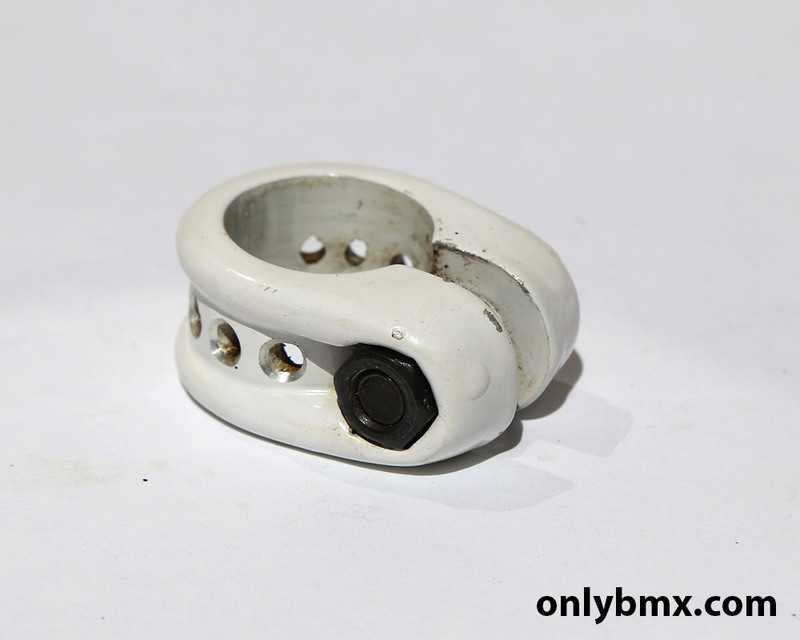 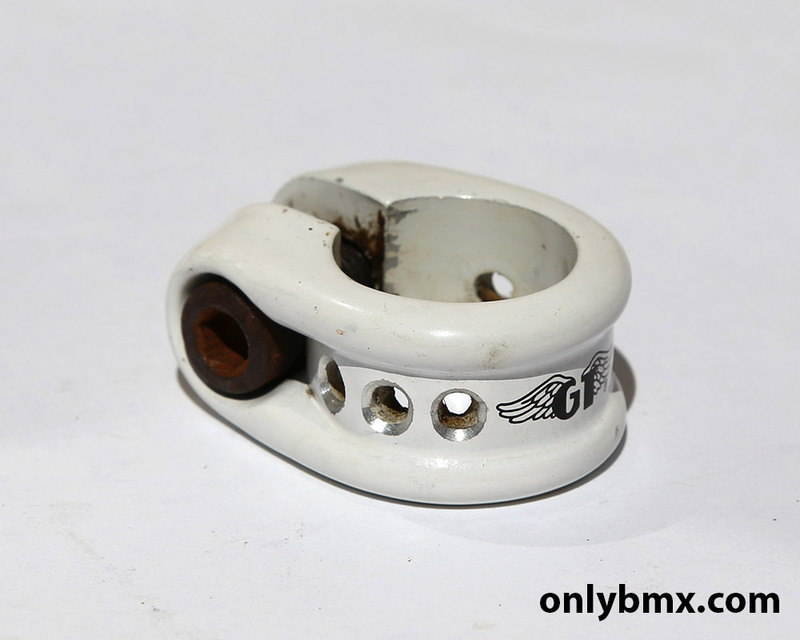 A white GT BMX seat post clamp for the old school freestyle bikes such as the Pro Performer and the variations like the World Tour and Pro Freestyle Tour models. 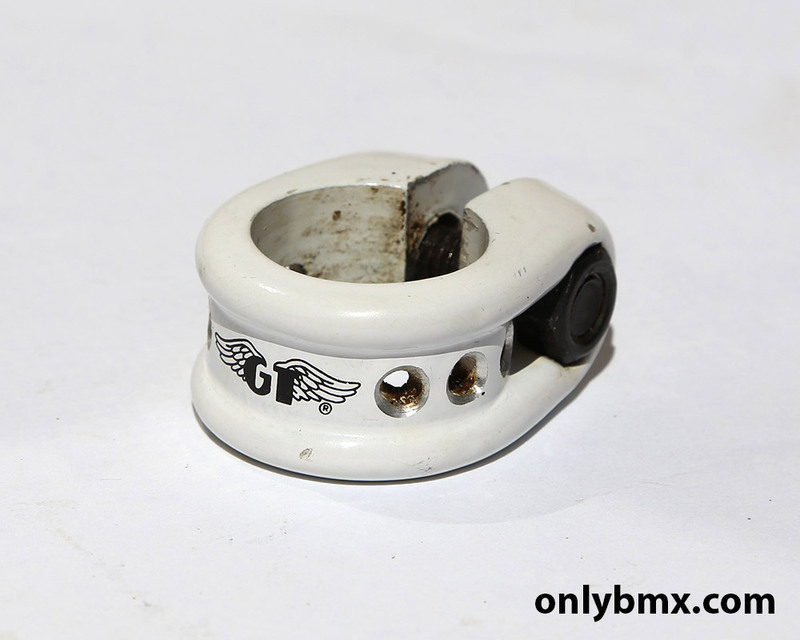 The important thing is that the GT wing logo is in great condition so with a bit of skill you could clean up the marks on this one whilst keeping the logo and you wouldn’t have to use one of the reproduction decals which would ruin the original look. 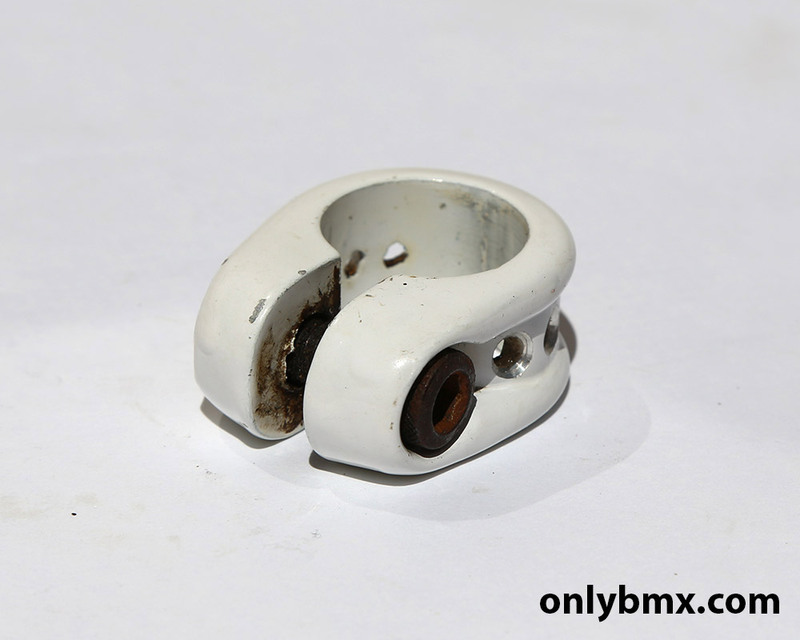 This is for any BMX frame that takes a 22.2mm seat post which is the regular size for most of the old school BMX bikes.